There I was, twenty-five years old and living the life everyone expected me to be living. I had a job with benefits, a house, two cars, a wife and a dog. Living the American dream of many, including myself at the time. But why did I feel so empty inside? So unfulfilled? Not to say that living this way is wrong, it’s a fantastic way to live and very fulfilling for many people. I was just learning that I was not one of those people. I wanted something more, something different, something mobile. I knew there was a lot to see in the world and I couldn’t find a valid reason not to see it. I knew it was the beginning of a major life change for myself, one so drastic that my marriage was unable to sustain it. But I knew I had to be honest with myself and seek another life, even if I had no idea what that was at the time. Then CoolWorks came into my life just as certain books seem to find us at opportune times. My stepbrother had mentioned this site that was full of “cool” jobs throughout the country consisting of mostly seasonal positions in beautiful places. It sounded perfect to me so I looked into it. I was hooked! It was refreshing and exciting to know that there was a life out there that I had been dreaming of but wasn’t really sure it existed. I started to apply to different places. For me, I was attracted to more places that were not corporately owned as I was looking for a more family-run, smaller operation. Coming from the east coast, I really wanted to head out west and find something completely different from the way I was raised. How does a ranch in sunny, southern Arizona sound? Different and fantastic! It was one of only three places I had applied to and luckily enough got a call back from. Two weeks later I was hired. “Great!”, I thought. This is just the change I need, I will do this for a few years or so, get fulfilled and then back to a so-called normal life. Well, going on eighteen years later I am still at it. I was very lucky to hit a home run on my very first try with CoolWorks in finding what turned out to be the perfect home base for me for the fall/winter as I explored the world during the summers. I have since tried to go back to the “real world” a few times here and there, only to last a year or less. Most of the time was spent dreaming about the life I had just left before looking at CoolWorks and dreaming of all the possibilities it has to offer. I have since also worked a few summer positions to compliment my steady “home base” fall/winter Ranch Job in Arizona. I have worked in Alaska twice, once at a fishing lodge near Ketchikan and the other at an Eco/Adventure lodge near Homer, Alaska. I have worked on another ranch near Livingston, Montana. But mostly it has been the good old rancho in southern Arizona that I have called home. I started out as the kitchen assistant and have now been a hiking guide/groundskeeper for the last several years. I get to share these amazing places with people (much like myself before I started all of this) that don’t get to live in such an amazing place. I have since seen every state in this beautiful country as well as traveled to many others. I have found this life to be a very fulfilling existence that I would not trade for anything else. Whether you are looking for a temporary life change or a major one, let CoolWorks help launch you towards a life you’ve only dreamed of! Envious of you! 8 years in the Army I got to live in Europe and all over the US has not quelled the wanderlust. I am in a job I am bored to tears with and long to hit the road for these experiences and opportunities. I look at Coolworks all the time… Thanks for your lovely story! Heartwarming! Thank you Suzanne! It’s never too late to make a change! Great story but I really wanted to respond to Susanne. I’m a US army veteran as well and I got out in 2003. I went to work at Crater Lake National Park in Oregon and have since went on to work in 8 other national parks and 3 ski resorts. Transitioning from the military to civilian life isn’t easy but it was much easier in the parks. There’s something familiar about the lifestyle and the people are a bit hardier. You really should try it, plus, these kinds of places love hiring veterans. This helped give me more inspiration. Im a fulltime RVer and i work at diffrent campgrounds going on 5 months now. The issue. Is my wife and kids just recently left because they want the ‘normal life again and i was having a really hard time going back. Hi everyone ! Just wanted to say that as a Real Gypsy theres Highs and lows of living this kind of lifestyle ! For me its been finding a girl that wants to go from having a summer job in Alaska to a winter job in Jackson Hole Wyoming they seem Cool at first with the idea but after 2 or 3 seasons well its not for them! Also the mail issue from letters from old friends to taxes ( Thank God I have a brother who holds my mail for me) and forwards it when needed! My first park was Grand Teton way back in 1981 at Colter Bay! , and Denali N.P.the following summer !and now 8 parks later and 8 ski resorts too! Awesome places no doubt! but not for everyone!! Big Companies are now taking over all the parks and theres a lot of competition with J-1s and HR2s and the pay has actually gone down from the good old days ( just saying except for maybe Alaska) you really are there just for the expierence ! My advice get your CDL do tours and make enough money so your not struggling during the off time !! 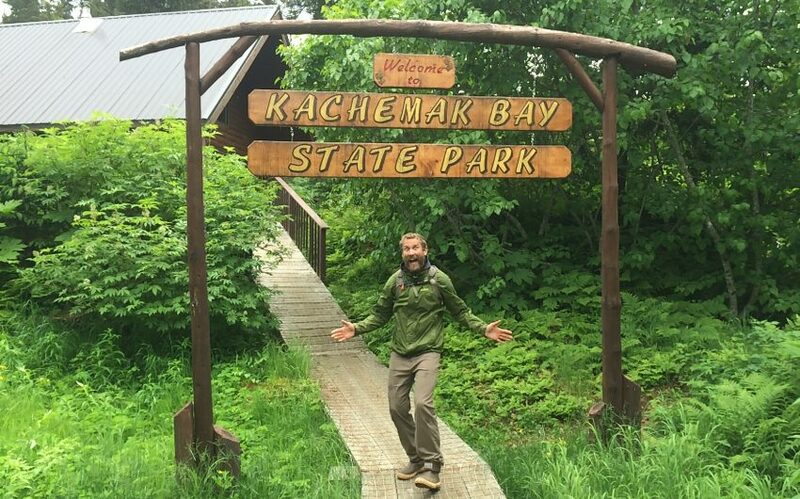 Rock on nice to see you Craig in front of the Kachemack sign down near Homer ( love that town) took a picture of my own at the same sign! Once a Gypsy always a true Gypsey ! sorry I got long winded anyone want to talk about park life give me a holler at skyedingo@ Hotmail.com all the Best America she Rocks dosent she!! life is good see ya Skyeman OUT! p.s I love Cool Works Too Great Job!! they do! indeed! !